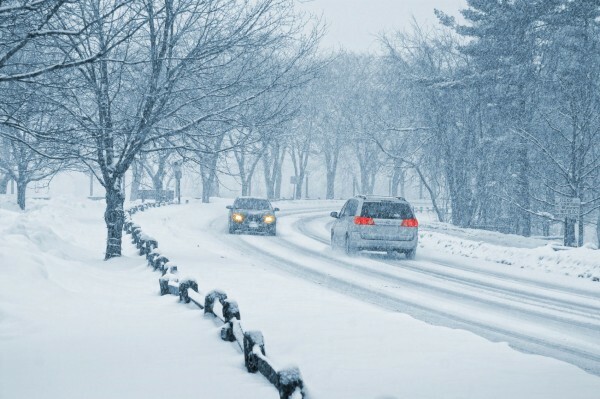 As we make our way in the harsh Canadian winters, we may be surprised to learn that we have an intercessor before God who understands and has lived through our struggles in our own northern climate and the perils associated with traveling in it. For most Canadians, there are two seasons: winter and construction. Our northern climes offer us snow and cold for at least six months of the year, from November until April, and sometimes even into May. Ice and snow are our frequent companions as we travel in often treacherous conditions by foot, car, ship (in the Maritimes), or air travel. 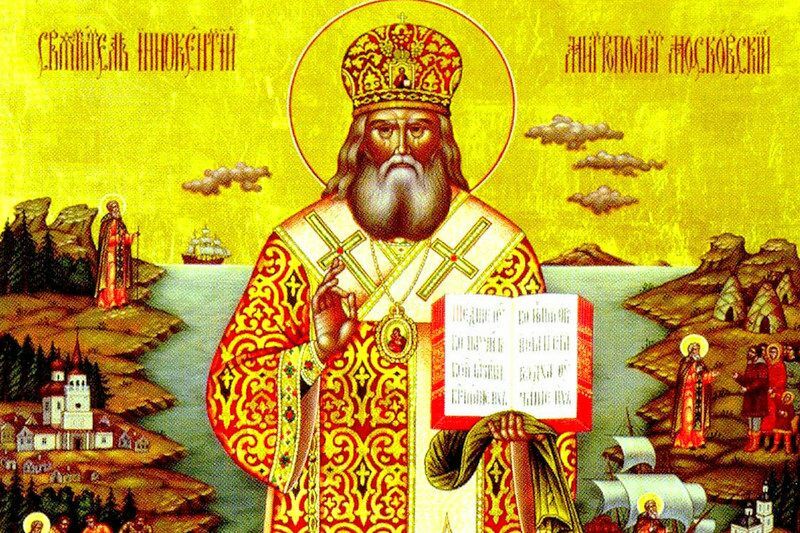 Before setting out on any journey, pious Orthodox Christians often invoke the holy prayers of St. Nicholas, the Wonderworker and Bishop of Myra in Lycia (modern-day Turkey). As one who personally experienced the dangers of sea travel, St. Nicholas can bring his holy prayers with boldness and personal empathy before the Lord. When we are sick, we call a doctor not a car mechanic – we call on those who have experience in dealing with whatever difficulties we have. So too with the saints, who are alive in Christ and have experienced different trials in their own earthly lives. They can offer their prayers to Christ God on our behalf, having an intimate knowledge and compassion for our own troubles. As we make our way in the harsh Canadian winters, we may be surprised to learn that we have an intercessor before God who understands and has lived through our struggles in our own northern climate and the perils associated with traveling in it. This heavenly intercessor is one who traveled thousands of kilometres in the sub-Arctic regions of Alaska, Kamchatka and Siberia in diverse modes of travel and frequently in mortal peril from ice and snow. He is someone who was one of us, who is one of us (the saints live forever in Christ), who dwelt among us here in North America, and to whom we may call in times of danger from winter travel – he is Saint Innocent (Veniaminov), Equal-to-the-Apostles, Missionary to Alaska and Siberia. While the memory of St. Innocent is often associated with translation and missionary outreach to the Native Peoples of Alaska and Siberia, one must remember that in order to reach these peoples, he had to travel over vast distances in some of the most harsh, unforgiving climates in the world. As a parish Priest in the Aleutian Islands during the 1820’s and 1830’s, he frequently visited his far-flung flock in the Aleutian Chain by kayak in the open seas of the North Pacific. These kayaks were typically framed by driftwood and outfitted with skins of sea mammals. 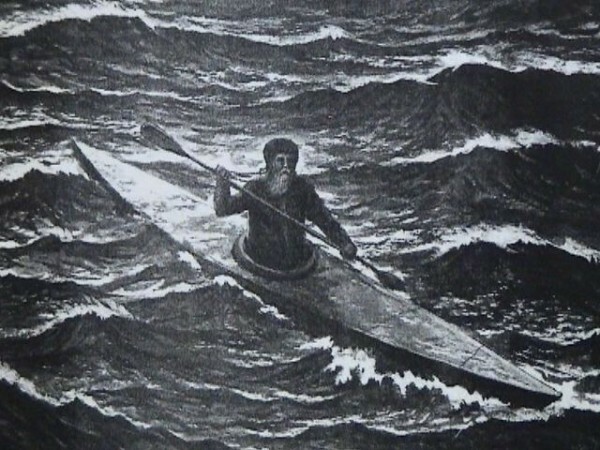 On one of St. Innocent’s pastoral journeys, his kayak sprung a leak which meant certain death in the frigid waves, but he managed to paddle over to an island at the edge of the horizon before the kayak finally gave out and foundered. Only by the mercy of God, a leaking kayak-skin held out long enough to keep St. Innocent from a watery grave off the Aleutian Islands. On another occasion, as Bishop of Alaska in 1842, St. Innocent set out by ship from Sitka only to be cast adrift in the capricious waters of the North Pacific. After a month of drifting with the real possibility of thirst and starvation setting in, St. Innocent called out to Fr. Herman of Kodiak Island for his holy prayers to God, (this was the St. Herman of Alaska, who had reposed five years earlier in 1837… editor’s note). And within the hour, a favourable wind picked up and carried the passengers to Kodiak Island, whereupon St. Innocent served a panakhida memorial service for Fr. Herman in gratitude for their miraculous deliverance. In the 1850’s, St. Innocent continued to travel and strengthen his flock in the Holy Orthodox Christian faith throughout the vast Asian regions of Yakutia, Kamchatka and Amur. He had to travel thousands of kilometres in a horse-drawn wooden box on skis, in a crate just big enough to lie down in. For warmth, blankets would be thrown on top of him while traveling for weeks at a time in the minus twenty degree Celsius weather through chasms of snow and ice, which could have buried him alive at any moment. St. Innocent traveled mostly alone or in small groups, and truly lived as a wandering hermit, due to his constant traveling in the remote regions of Russia’s Siberian, Pacific, and American outposts. In this way, he suffered the privations of a solitary, uncertain existence in the harshest climate in the world. And all this was to preach the Gospel, offering himself as a living sacrifice for love of God and neighbour, in the face of the unforgiving natural elements. He faced imminent death from waves, burial by snow and avalanche, disease in the bogs of Siberia and Yakutia during spring thaw, and starvation in the middle of the North Pacific on the journey from Sitka to Kodiak. Are we similarly interested in sharing his “podvig”, his righteous struggle, in going to Church on Sundays, and perhaps also for Vigils on Saturday nights, despite our inclement Canadian winter weather? Are we willing to visit our brethren in faith to comfort them in their needs despite the cold? Are we willing to go on pilgrimages to monasteries in the cold, both for ourselves and to help supply any of the needs of the monastics during the harsh winter months? When we find ourselves in danger on the highways from ice and snow, do we call out to St. Innocent for his holy prayers to God to deliver us from danger? St. Innocent is a powerful intercessor before God who intimately knows what it means to face death in frigid waters and avalanche-ridden trails. More than any other Saint in the great cloud of witnesses of Christ, St. Innocent of Alaska knows our struggle in traveling the harrowing roads of our northern winters. (Further accounts of St. Innocent’s heroic exploits are recounted in the book: “St. Innocent, Apostle to America” by Paul D. Garrett, SVS Press, and in the Akathist to St. Innocent of Alaska.